Moms work hard and it's often a thankless job. They clean the home, kiss the ouchies, dress the kids, make the meals, wash the clothes, attend school functions, drive to activities, help with homework, and so much more. Every day, moms work both inside the home and outside the home, from their waking moment until they collapse back into bed, to provide the best lives for their children. Have you ever REALLY thanked your mom? It's back-to-school time and moms everywhere are working harder than ever...especially to give kids healthier food. One CEO decided to show how much he gets it. Over the past few weeks, Josh Tetrick, Hampton Creek's CEO and Founder, has been writing letters to the New York Times about fixing our food system. You can read them here. They've been addressed to big names like "CEOs" and "Presidential Candidates." Last week he decided to write a letter to his mom in a full page ad in the New York Times and this video is her seeing it for the first time. It's a very emotional, unexpected moment. It really tugged at my heart. Grab a tissue and watch it! This story is at the heart of what they do at Hampton Creek. They want a better food system for hard-working moms everywhere! Our food system is pretty messed up. Families are often too busy, or too tight on cash, to feed kids better food. Why is it that cheap, unhealthy food tends to taste so much better? Hampton Creek is changing this. Hampton Creek has started a movement around this question: What would it look like if we started over in food? The right choice for our bodies, and for the environment, should be affordable. And it should be incredibly delicious. Hampton Creek is making products that are healthier, more sustainable, more affordable, and more delicious. Eating well should be easy! Don't you agree? 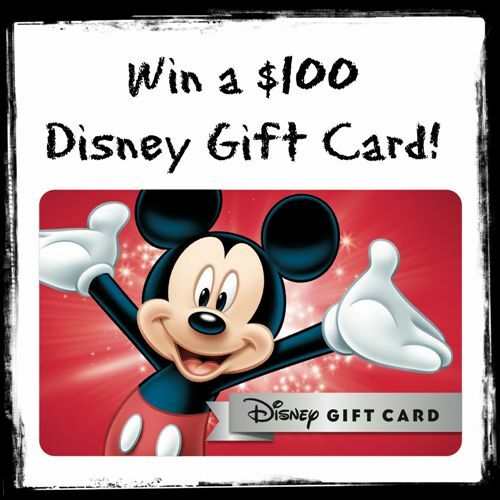 Keep your summer fun going with this fabulous $100 Disney Gift Card! It's redeemable at Disney Store, Disney.com, Disney Parks, Disney Resorts, Disney Cruise Line, Disney Dining, and more. 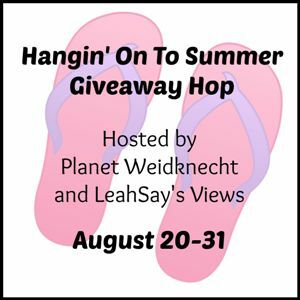 After you enter my giveaway, be sure to visit all the participating bloggers listed below and enter to win great prizes worth at least $25 on every blog. This giveaway is open to US and Canada residents, ages 18 years old and older. 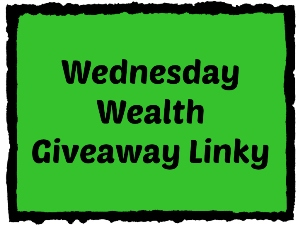 Giveaway ends on 8/31/2015. During my week on the beautiful island of Nevis, my lunch at Sunshine's Beach Bar and Grill was probably the place I had the most fun. Walking up to this colorful restaurant, the word "groovy" came to my mind. Sunshine himself met us at the door. We were a large group...five out-of-town journalists, Devon and Yvette from the Nevis Tourism Authority, and a chef named Gregory Austin from Barbados who was on Nevis as a guest for the Nevis Mango Fest. We squeezed in around a table, sitting on couches and chairs under a sea of flags. The walls were covered with license plates from around the world and photos of people who have enjoyed the fun at Sunshine's. I love the laid-back atmosphere of Sunshine's! We stuffed ourselves with delicious foods, drank refreshing drinks, talked and laughed, and had a fabulous time. This is Devon, the Director of Sales and Marketing at the Nevis Tourism Authority, and I as we pose for a "nice shot" at Sunshine's. I also caught a photo of him enjoying his Killer Bee. He's a great guy. This hilarious guy is Gregory Austin, the guest chef from Barbados. He is truly the life of the party! After lunch, this huge bottle of bright pink "something or other" was brought out for us to enjoy a few shots. I had to get in on the fun pictures, but I really only drank the little shot sitting next to the bottle. Okay, maybe two of them. Getting Gregory to pose nicely for a picture was quite a challenge. I think I look a bit too happy here. Gregory had us all laughing hysterically. These are only a few of the photos of him enjoying the camera too much! But we finally got a good shot together. He's an entertaining, wonderful person. Sunshine's Beach Bar and Grill is a fabulous place to eat, drink, and be merry! Make sure you put it on your list of places that you absolutely must visit while you're on the tropical island of Nevis. See more of my adventures on Nevis HERE. Easily share and pin this post with the buttons below! Now that my daughter is grown, I can finally share one of the parenting stories from her teenage years that gave me the most angst. My daughter was a very difficult teenager. Her attitude was downright nasty, more often than I care to confess. Some background information: She was the older sister to a little brother. She had experienced my ugly divorce, my single parenting far below the poverty line, my wonderful new marriage, and a new younger stepbrother. Her mostly-absent biological father was often angry, and spent lots of money on her during visits to manipulate her. My husband and I worked very hard to provide the three kids with a happy, loving, family life that met all their needs and many of their wants. She was nine years old when I remarried and she was thrilled to have a good man to call Daddy. Then, she became a teenager. Fast forward to one of the worst days. Our three kids' birthdays were approaching (November and December) and we decided that year they would each get a laptop computer. We selected three excellent laptops and paid for them on credit. It was an expensive gift, around $500 per child. They all three opened their laptops together. The boys were absolutely thrilled, beside themselves with excitement, joy, and appreciation. My daughter opened hers, looked at it with disgust and said, "I'm older. Why didn't I get a better one than they got?" My mouth hit the floor. At first I thought she was joking, but it was clear that she was truly ungrateful. (This is the very shortened version of what she said to me.) I gathered up my broken heart and said, "Well, if you don't want it, I can box it up and send it back." Her response was, "Fine." And she walked up the stairs to her bedroom and shut the door. With tears in my eyes, I packaged up that beautiful, brand new, expensive laptop and shipped it back before I could change my mind. It was, honestly, really difficult for me. We had planned the gifts so carefully, researched for hours to make sure we got them excellent computers, purchased them on credit so that we could work the payments into our budget, and wrapped them up with so much excitement, dreaming of how excited they would be when they opened them. This was not the reaction I had expected. It also put me in the position of having to toughen myself up to send it back because of her attitude. I didn't want to send it back. I wanted a happy, grateful, excited reaction, but that moment was gone. I wanted to see her face light up, but all I got was a slammed door. It hurt me, for a long time. There were many times I felt completely helpless as a parent. Even though I have a bachelor's degree in child development and a master's degree in education, plus I ran a nationally-accredited child care program for many years, I was often at a loss with my own. Being a parent is difficult, more difficult than anything else I've ever done. Although she's never formally apologized for her behavior on that terrible day, I forgave her that very day. But I've never been able to forget the memory and that feeling of angst comes back whenever it comes to mind. We've discussed it now that she is grown and she tells me her friends have told her she was absolutely nuts for doing that. That event (and many others) certainly made an impression on her younger brothers, who tell us they learned how not to act as teens because they saw the consequences of her actions. She is no longer an ungrateful person. She's grown into a loving, giving woman. After earning her bachelor's degree, she worked with elementary school kids. Now that she's working on her master's degree, she's working with teenagers. She just recently earned her teaching certificate to teach high school. I know it hasn't been easy for her, but she has pushed through with determination. I am proud of her. My sons are also wonderful adults and I'm proud of the men they became. I hope that somehow, by being able to do the right thing when I really didn't want to, I helped to shape my children into better adults. If you are the parent of an ungrateful teen, it's your job to teach them right from wrong, even when it pains you both.